Reading 2018. One of the most controversial lineups this summer’s festivals has to offer, but if you really take a look at it, also by far the most exciting. 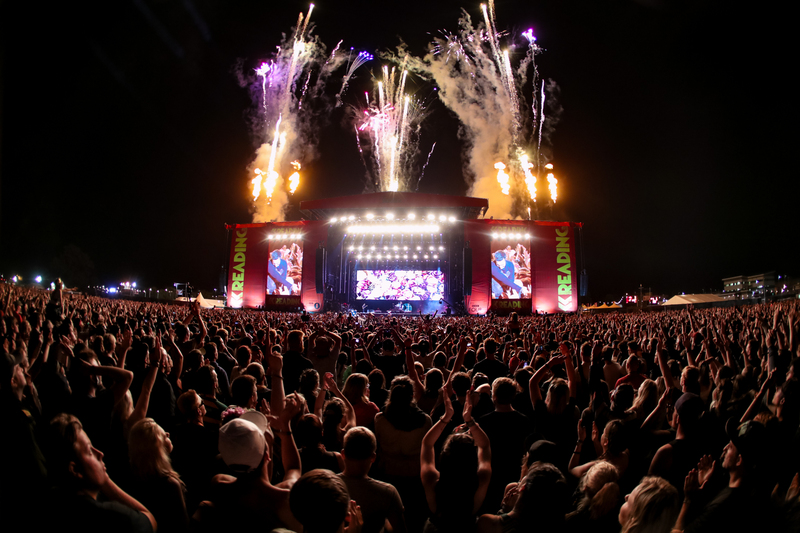 Once the UK’s main “rock festival”, Reading has been diversifying its lineups in recent years to reflect the changing face of modern popular music. The result is probably the least homogeneous festival platter they’ve given to us to date, and damn does it look delicious. Out is the burger and chips served up at a greasy stall outside the football stadium; in is the most wonderful little tapas you could find down a beautiful little Barcelona side-alley. In one little corner, you’ll encounter BBC Sound of 2018 runner-up Rex Orange County spinning his delightfully heartfelt ballads; in another, you’ll come across cutting-edge acts like Brockhampton, IAMDDB, and AJ Tracey. Dotted around are tributes to the festival’s typical, guitar-loving image, from The Kooks and The Vaccines to The Magic Gang and Wolf Alice. All this contemporary variety aside, the main course is still in keeping with previous years. Friday headliners Fall Out Boy were here two years ago, while fellow Friday headliner Travis Scott and Sunday headliners Kings of Leon throwback to last year’s headliners Disclosure and Muse. But all eyes will be on Saturday headliner Kendrick Lamar. Nominee to two Album of the Year Grammys he should have won in as many years, he’ll be looking to deliver a set just as ferocious and headline-grabbing as the one he gave at the Grammy Awards this year. That there’s so much variety at this year’s Reading festival is a fantastic thing. If you’re mostly into the pure, guitar-driven rock that has so defined the festival over its history, there’s still plenty of bands for you to check out: besides those mentioned above, acts like The Wombats, Deaf Havana, Nothing But Thieves, Pale Waves, Sum 41, Mike Shinoda, and Slaves will be doing all they can to prove to you that rock isn’t dead. 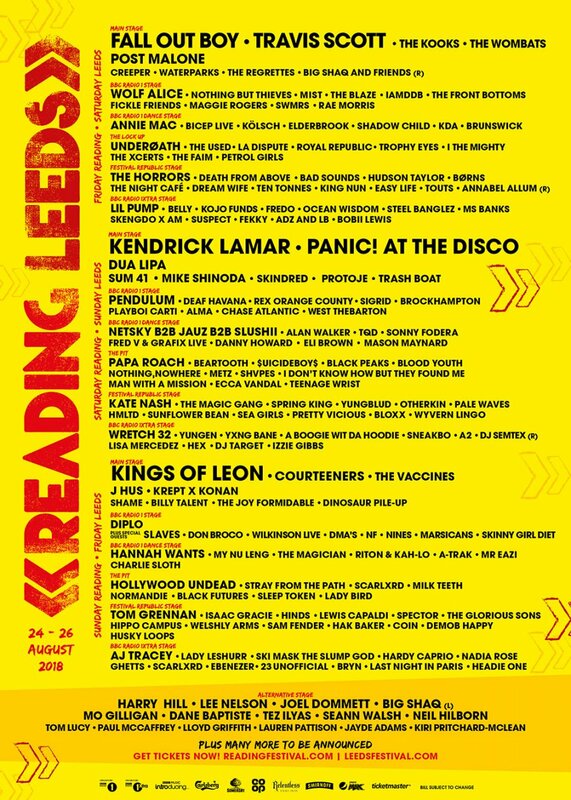 But beyond all that are prodigious popstars (Dua Lipa, Sigrid), voracious MCs (Skepta, J Hus, Post Malone), world-class DJs (Annie Mac, Hannah Wants), rising stars of every genre (Maggie Rogers, Lewis Capaldi), comedians to balance out all the music (Big Shaq, Joel Dommett), and far more besides. Make no mistake: Reading 2018 is the festival to watch this summer. 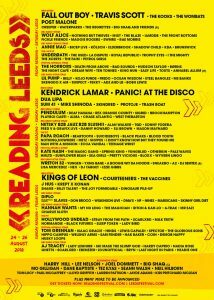 Tickets for Reading Festival can be found here.